We in the San Francisco Bay Area are blessed to live in a spectacularly beautiful juncture between land and water, and during the summer months the region’s waterscape proves a particularly alluring setting for recreational activities such as boating. But while boats and personal watercraft are vessels that can provide memorable entertainment for family outings, all too often they can be even more dangerous than motor vehicles to operate, sometimes with tragic consequences. A boating accident in the Sacramento Delta on Sunday was but one example of how deadly collisions involving boats can be, and is a reminder of the relevance of personal injury actions in some cases. As reported by the San Francisco Chronicle, a man died after his Jet Ski struck a Wave Runner, both of which are personal watercraft, near Bethel Island in Contra Costa County. The cause of the crash is still under investigation, but the county sheriff’s marine patrol found that “both operators had limited experience and no boating education,” according to the story in the Chronicle. According to United States Coast Guard statistics, operator inexperience was the No. 2 primary contributing factor of recreational boating accidents in the nation in 2012. Other top primary contributing factors in last year’s boating accident statistics include operator inattention, improper lookout, machinery failure, excessive speed, navigation rules violations and alcohol use. All in all, there were 4,515 boating accidents reported to the USCG last year, of which 578, or 13 percent, resulted in a total of 651 deaths. The USCG also counted 3,000 injuries and approximately $38 million of property damage as a result of recreational boating accidents. As in accidents involving motor vehicles, water craft operators are at fault in a boating accident if they act negligently. And as in motor vehicle accidents, a significant number of water craft accidents often involve an operator who is under the influence of alcohol. Boating under the influence (BUI) is criminalized in all 50 states. Indeed, alcohol use was the leading contributing factor in fatal boating accidents; the USCG listed it as the primary factor in 17 percent of all such accidents in 2012. With the USCG reporting 12,101,936 recreational vessels registered by the states last year that are often cruising – and unfortunately colliding in – the nation’s waterways, it’s no surprise there would be numerous cases involving accident liability. Those who are found negligent for whatever reason in a boating accident may incur civil liability and even criminal liability. Boating accident victims may sue another boater for property damage, medical expenses and other losses suffered as a result of the incident. This weekend’s tragic accident in Contra Costa County is a high-profile example of a recreational activity gone terribly wrong. 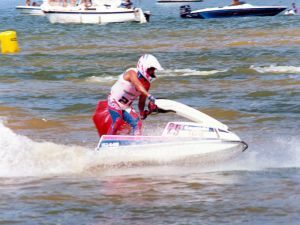 If you or someone you know has been injured or died in an accident involving a personal watercraft you should immediately seek the counsel of an experienced attorney. The attorneys at the Brod Law Firm have many years of experience in personal injury law. They can also help you pursue justice for your injuries and get the compensation you deserve to help you recover both emotionally and financially after such a serious and often traumatic injury.